Adults and teens 15+ are welcome to attend Stitch 'n Inch to learn or practice knitting with Colette Pispisa or crocheting with Betty Joseph in a fun and friendly atmosphere. Any teen 13+ can attend with an accompanying adult. You are also welcome just to socialize. Their Newark Knitting group page is on Ravelry.com. Stitch 'n Inch meets every other Saturday. 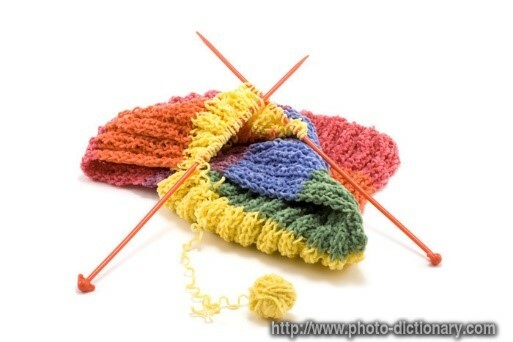 You may bring your own needles or hooks to learn, or borrow straight knitting needles and yarn. Colette is proficient at using double-pointed needles, but if you want to learn how to make hats, socks or both, you'll need to buy yourself a set. Questions? Call the Information Desk during open hours at (510) 284-0677.